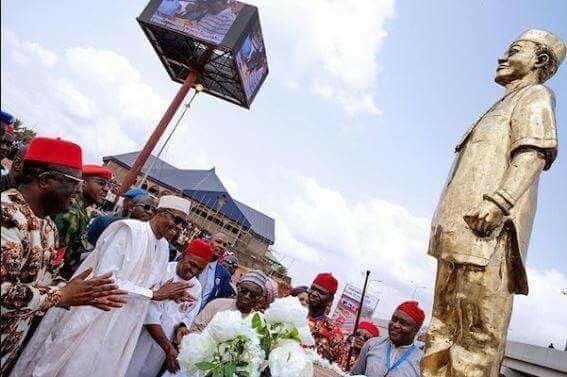 It will be recalled that President Mohammadu Buhari on November 14th, 2017, commissioned the statue of Late father and leader, Late Ezeogo Dr. Akanu Ibiam in Ebonyi. 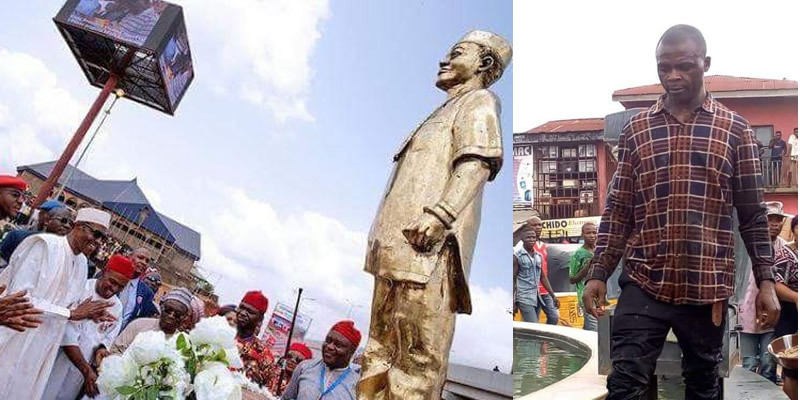 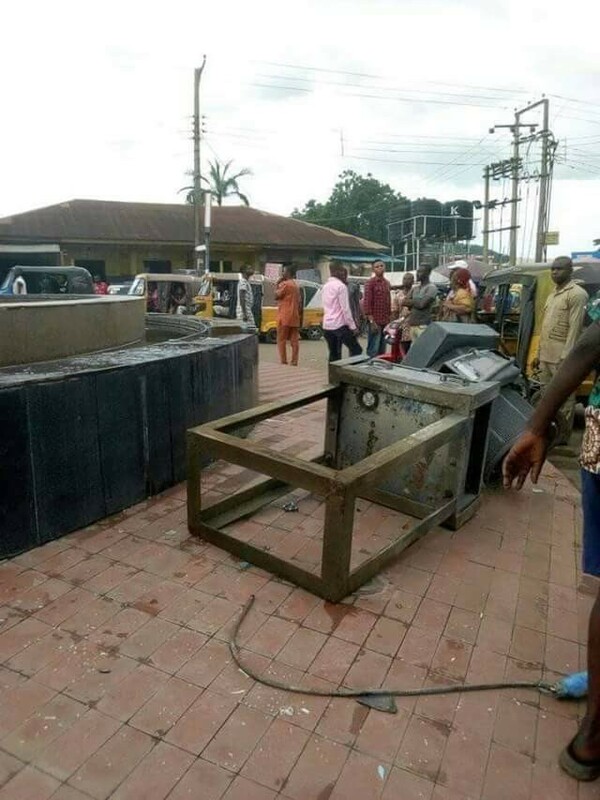 A young has been arrested by men of the Nigeria Security and Civil Defence Corps for vandalizing all the fancy lights and pulling down statue of Dr. Akanu Ibiam at Abacha round about, Gunning Road, Abakaliki, Ebonyi State. 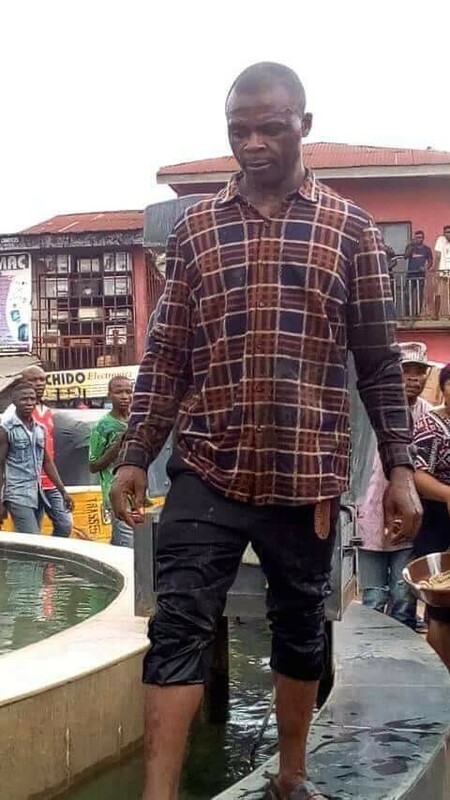 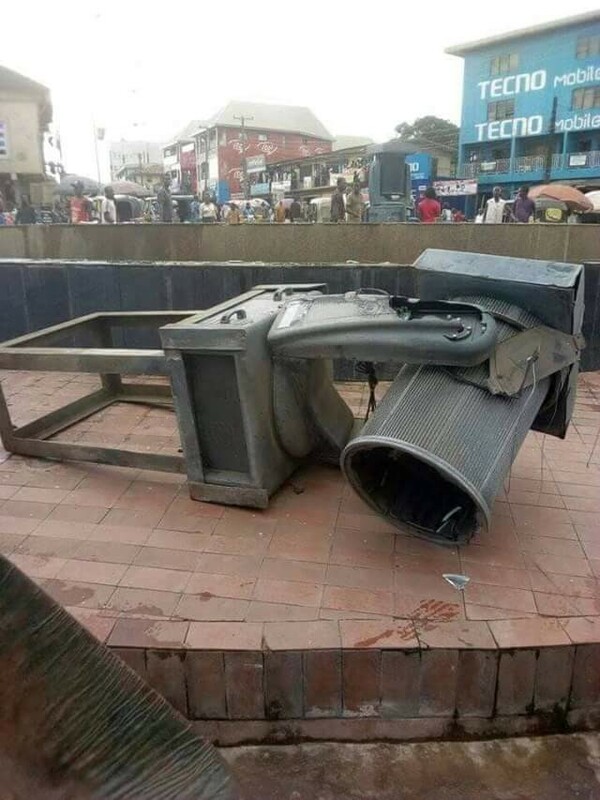 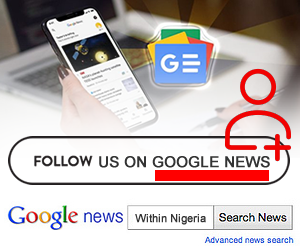 According to an eye witness, the man came to the vicinity with Monday hammer and other instruments, climbed the artificial water fall and commenced the destruction.